Landing . Arriving passengers arrive at the Terminal building through the Jetways,or by bus (when the aircraft is parked at a remote parking slot). Arrival through a Jetway From the aircraft continue, through the Jetway, to the lobby on the first floor. From there, go up to the lobby on the second floor, and carry on, through the concourse, to the 2nd floor of the Rotunda. Here you will go round the Rotunda to the end of the Connector, and from the Connector proceed to the descent to the Border Control Hall, on floor G. The various levels are connected by stairs and escalators, as well as an elevator adapted for passengers with special needs.Passengers with special luggage such as wheelchairs or pushchairs /baby strollers, will receive that luggage in the lobby on the 2nd floor.Arrival from an aircraft parked at a remote parking slot A bus will take you to Level G of the Terminal building.Go up to the second floor, to the beginning of the Connector. Proceed along the Connector to the point where it descends to the Border Control Hall on Level G.The various levels are connected by stairs and escalators, as well as an elevator adapted for passengers with special needs.Passengers with special luggage such as wheelchairs or pushchairs /baby strollers, will collect that luggage as they disembark from the aircraft.Transit Passengers should proceed to the first floor, to the Transit Hall, to continue their journey.The entrance to the Transit Hall is at the entrance to the Connector, on the right.VIP Passengers, Disabled Passengers and Aircrew Passengers transported by the El Alit vehicle, as well as VIP passengers arriving in the service provider's vehicle and aircrew, arrive at the entrance to the Border Control Hall on Level G, at the junction point of the Connector and the Border Control Hall. Continue along the Connector up to the descent to the Border Control Hall on Level G.
Passengers are met upon arrival and assisted through security and border crossing procedures on both sides of the border and directed to their waiting driver. Escorting the passengers to a separate passports channel in order to shorten waiting time, assist through customs,passport control, security inspection process,baggage collection . For the ultimate in VIP service at the airport. Passengers are met as they leave the airplane and are driven by a private vip vehicle across the tarmac (1.5 kilometres) a separate in order to shorten waiting time. 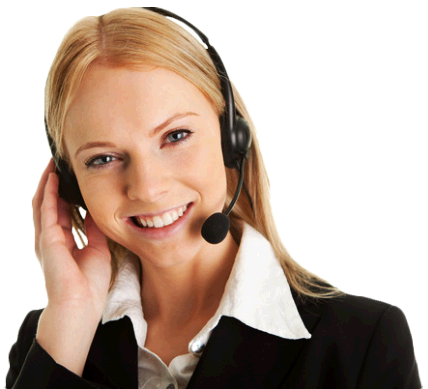 Steward escorts through the whole process and assist through customs,passport control ,security inspection process , baggage collection . Meeting the passengers at the finger where the plane is connected and taking them straight to Massada Lounge at terminal 1. While passengers enjoy light refreshments, beverages and the use of basic office services we take care of all incoming or outgoing flight procedures:customs,passport control,security inspection process, baggage collection. 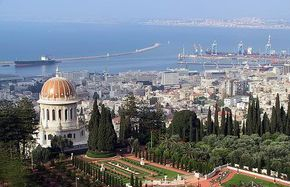 Haifa the largest city in northern Israel, and the third-largest city in the country. 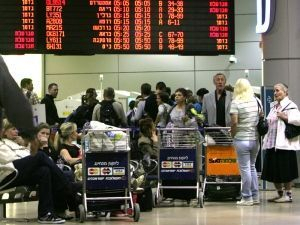 Located 115Km / 71Miles from Ben Gurion International airport. 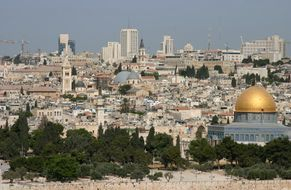 Jerusalem The largest city in both population and area, located in the Judean Mountains 44 Km / 27 Miles from Ben Gurion International airport. 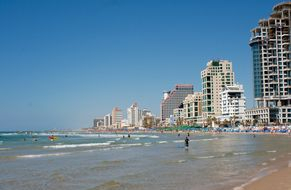 Tel Aviv the country's financial capital and a major performing arts and business center.15 Km /9 Miles from Ben Gurion International airport.